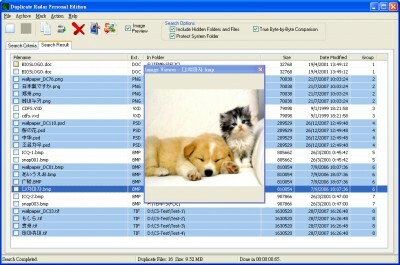 Uncover true duplicate files. Fully support Unicode. Built-in powerful marker. 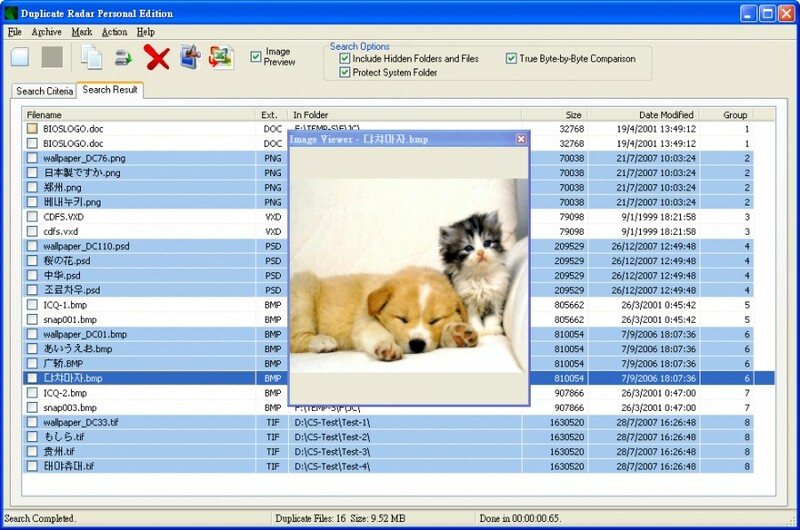 Duplicate Radar - file management utility software to find & delete TRUE duplicate files. Duplicate Radar does: * Search duplicate file contents regardless of file name. * Any duplicate file cannot be escaped from the scanning of Duplicate Radar. * Supports Unicode file name & file size > 4GB. * Delete or move duplicate. * Files can be marked easily with built-in powerful marker. * Clean up disk space, manage files better.